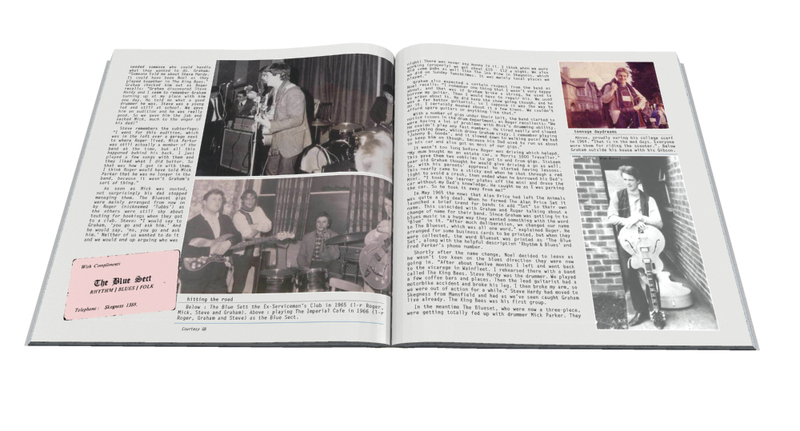 There are page visual from chapter one: click to enlarge. Please note they are subject to change in the final publication. Please link through if you are reproducing these anywhere. All photographs copyright Easy On The Eye Books / Graham Bonnet. 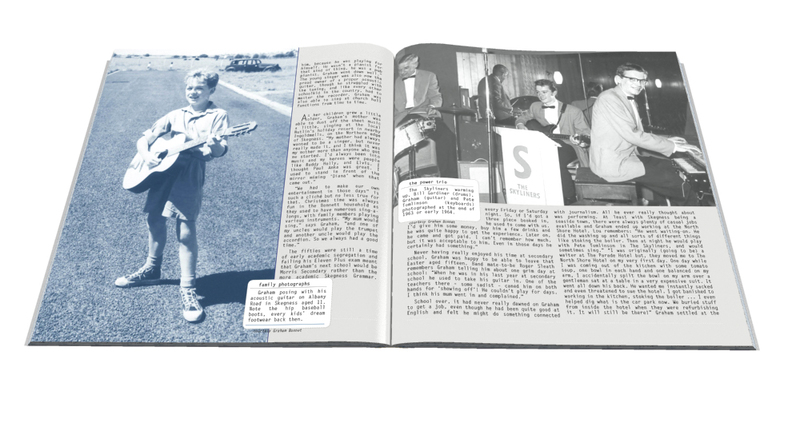 Really interesting, Graham was born to sing…I am his third cousin,his mom was my dad’s first cousin. Love his powerhouse vocals which I remember hearing on our school bus back in the early 60’s,so glad he made a good career for himself….Rock on Graham!!!! we love you in skegness…. Thanks for dropping by Diane. I bet you have some good stories to tell 🙂 I was in Skegness with Graham in July. I’d just like to say that Trevor did some great singles in the 60s. I miss him !! Girlfriend already pre ordered for me! !!!!!!!!!!!!!!!!!!!!!!!!!!!!!!!!!!!!!!!!!!!!!!! Thanks for that Diane. Yes, I think I’ve got some photos of him doing his curled up lip bit ha ha !! I wish we’d communicated earlier as it would have been nice to have interviewed you and added a few of your stories. I first met Graham when he delivered our meat order from Dewhirsts Butchers (on his bike!). My favourite was when they played Tamborine Man by the Byrds. Cannot wait to see his autobiography. A nice comment there Simon. Hi Derek, nice to hear from you and thanks for your comments. I bet you have a quite a few stories up your sleeve !! 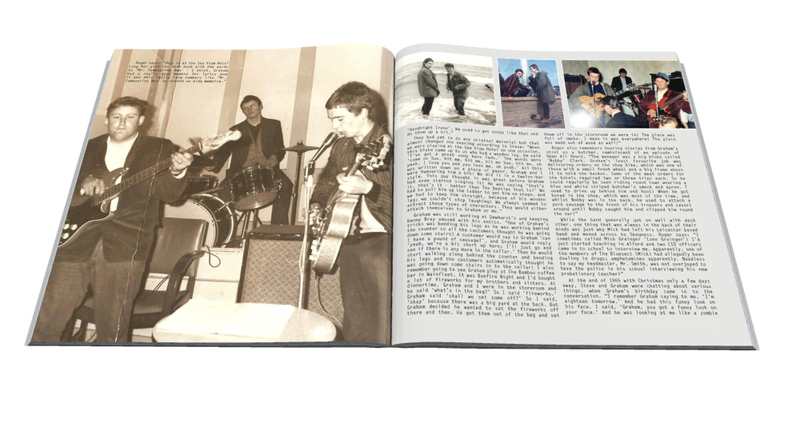 I think you will enjoy reading what Roger, Steve, Noel and Graham have to say about those days. Are you still in Skegness ? Yes Steve. We still live in the same house where Graham delivered our meat. That is great Derek. Every so often I visit Skegness with Steve Hardy and we meet up with various people…. friends, reletives and ex-band mates etc wgho I interviewed in the early 90s. We stay at the North Shore Hotel so it would be nice to meet up. I’m hoping to come over around the end of September.